Every year since May 1978, the Mills’ Family reunion has been held during Memorial Weekend. It came about after my Daddy was killed in an automobile accident this same weekend in 1977. I would turn ten years old that following July, as my brother would turn six. It was a harsh way for a family get together to come about, but years later…it is still being held on the same date, year after year. 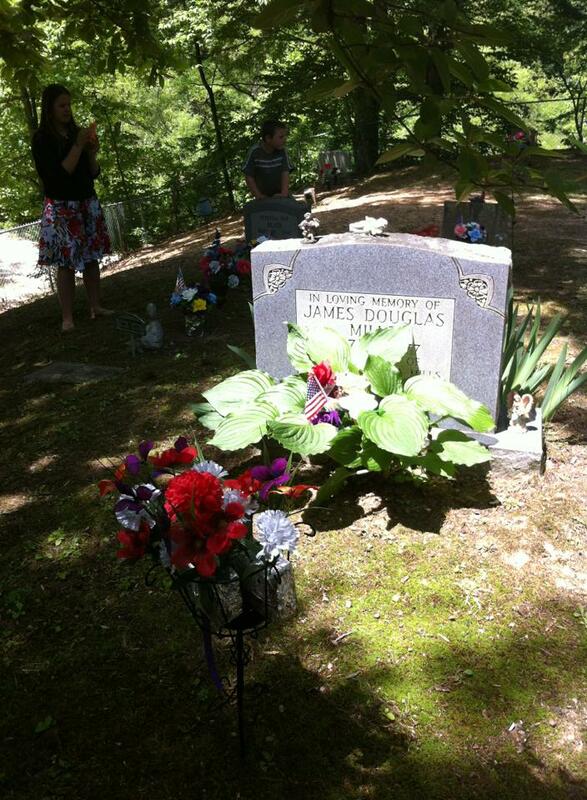 My Daddy was the first person buried here. I couldn’t tell you how many countless times since I was ten, that me and my cousin would make the walk over the hill to the cemetery. We would pick flowers along the path. Sometimes I would feel like crying my heart out, sometimes I just felt lost. Other times, I was unsure what I actually felt. My mother never went there. Ever. Not until she was buried there also in 2006. The Mills’ cemetery holds my beginnings, my middle and the end of my days having both of my parents, along with Aunts and Uncles that were very much a part of my circle growing up. I would love to say that I make it every year? Fact is, I seldom go. Instead, I am down the entire weekend, anxiously awaiting everyone’s photos. I call my cousin usually just to hear the noises of my family in the background. If I were to create a to-do list for next year, it would be on the very top of that list. There is something about gathering with your family. So many things change during the years, people change, and if you are not careful you will miss the important parts of catching up. We miss so much living away from family. Time can never be recaptured. When you do get the opportunity to be with those in your “Circle of Love” it seems to fly by.. and you cherish it all the more. I guess it is one of the major reasons I love my Facebook so much? It at least gives me a fighting chance to keep up with everyone. We share stories, photos and enjoy occasional chats. It’s a major improvement from the days of paying for a long distance call. Every year I promise to make it the following year. I hope someone holds me accountable to it, remind me of my words. There are so many family members that I missed the chance to visit. Some are gone from this earth forever, some just aren’t capable of making it every year. So again, I glance through the photos taken, feeling my heart sink a little more, wishing I had been there. Next year……my calendar will be rearranged…and although it is a busily traveled weekend, I will make the drive. It has already been too long. There is no doubt that the time will zoom by and I will never feel like I have enough time to visit, but I am looking forward to cherishing some much-needed family time. 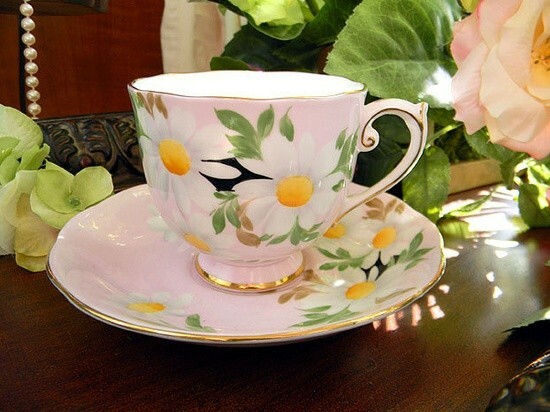 As long as I can remember, I have enjoyed a tea party. My Momma made sure that we had one and often. My granny used to sneak tea to me when I was four years old. It was just something we did together. Hot tea, with cream and sugar cubes, will always hold a special place in my little world. We continued our tea parties even when I was a teenager. Using her silver polished set, we would watch our favorite soap opera, General Hospital, and yes, we giggled at ourselves for enjoying it so much. 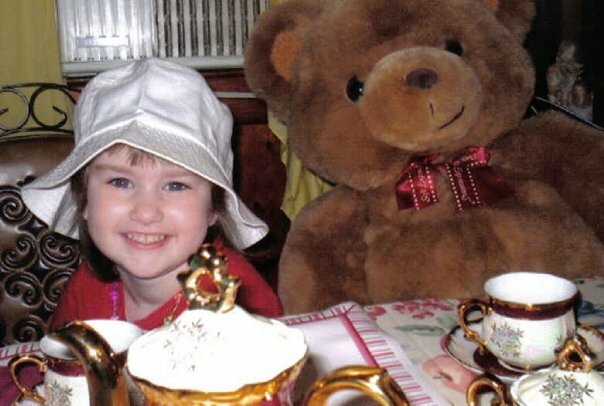 The first tea party Hannah enjoyed with her grandmother was also one that would be forever cherished. Momma asked her to help set the table, and seat the “guests”. Dolls. If you know my daughter? She has never been much into playing with dolls. My mother improvised by asking her who would be attending the tea party? Instead, it was stuffed horses, bears, dogs and other animals. It would be a first for my Momma and we chuckled about it for a few years afterward. Since 2006, Hannah and I have kept up our tradition of the tea party. We do it in memory of her as a way to celebrate her time with us. 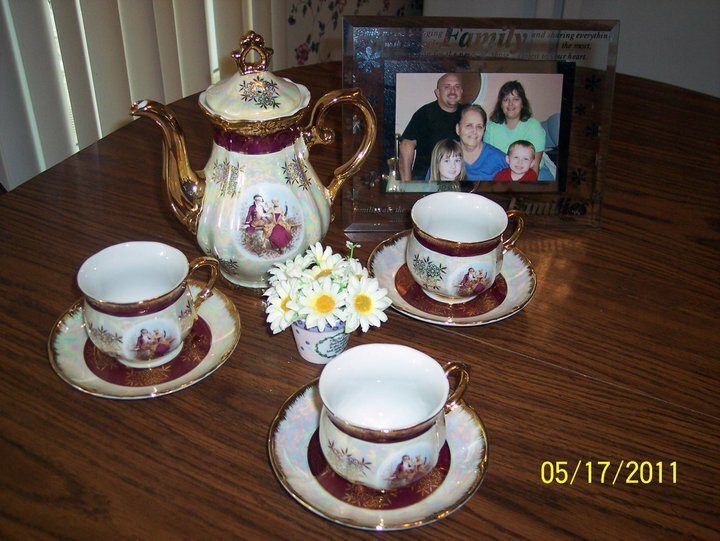 We carefully remove the China tea set that she left to Hannah, set our table with a photo and some daisies. Our celebration takes place every year on May 17th, for her birthday. We say a prayer of thanks for the time we shared and the tea party begins. 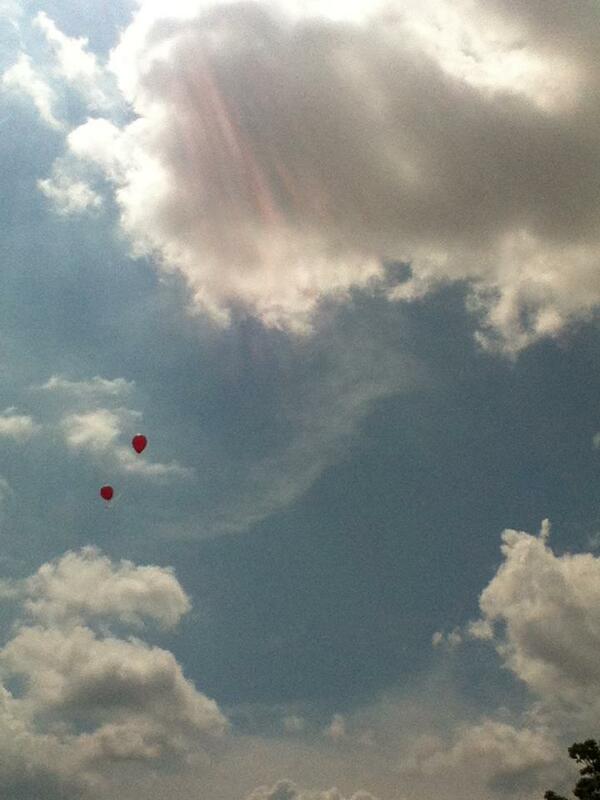 Balloons are released up into the heavens, always containing her favorite color of red. I have no idea if she actually sees them, it doesn’t really matter, only that we continue to remember her. We miss her, and it still breaks my heart that she is not here to share our lives with us. 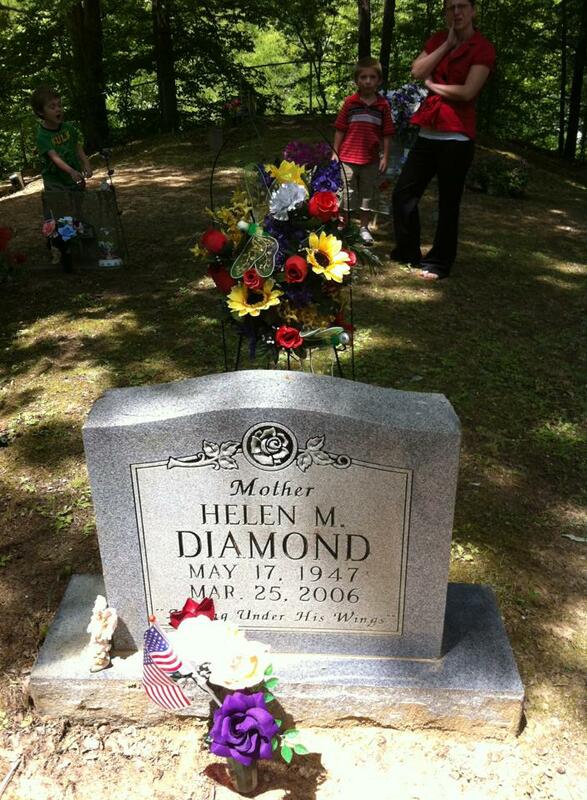 Happy Birthday in Heaven Momma.. I know the celebration is an eternal one. We didn’t really say “goodbye” only that we will “See you Later” until then… enjoy the balloons…and your Royal tea party. We celebrate you and the unconditional love you gave, and we were so blessed to have you in our lives. 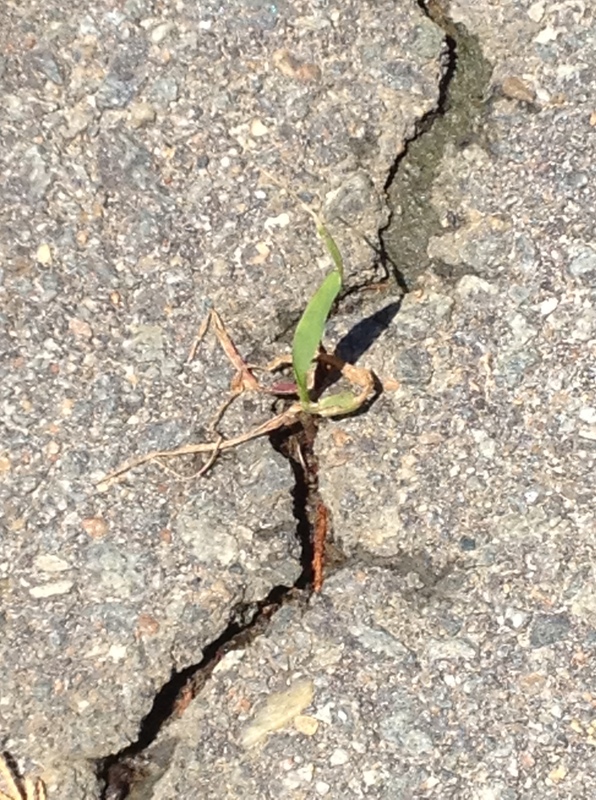 Many years ago I had a conversation with an elderly saint of God that started over looking at a crack in the pavement. She must have realized that I, too, am a visual learner. If I see it, I am more likely to commit it to memory. “Look at that blade of grass” she had said. As weak as a little piece of grass would have to be? it still had enough determination to keep pressing through the hard places to survive.” What a defeated little seed it must have started out being? No hope in sight, only determination to keep trying, to keep pressing through the harsh stone and gravel. Pressing through the ugliness to reach upward, knowing that it was the best chance to eventually feel the warmth of the sun. She went on to tell me that we are to press on just as diligently. 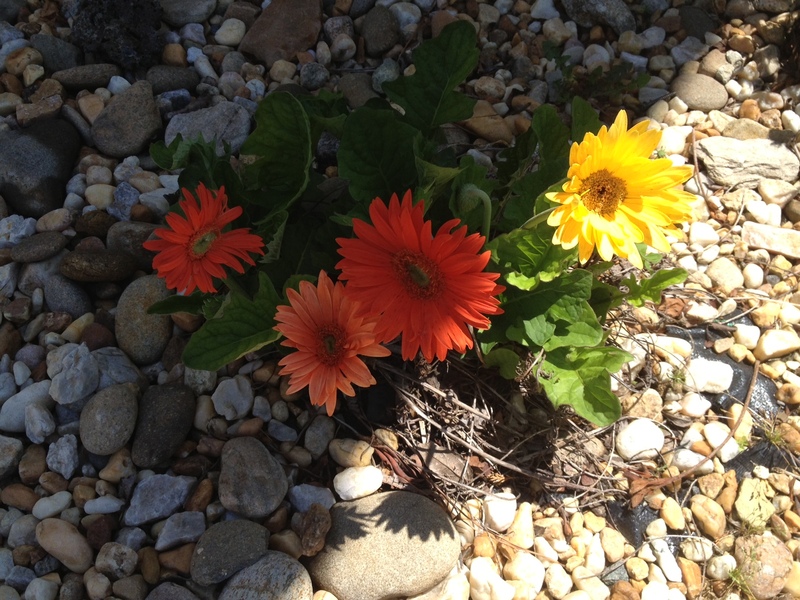 Regardless of those that kick dirt over you, step on you bending your most tender places. Keep climbing upward with faith that the climb will bring forth a much better place. We have all been here, the place where your good has been spoken evil of. Your intentions were tarnished by someone else’s pain. You became their “scapegoat”. How much easier is it to collect stones to throw than focusing on the bag of rocks that weigh down your own pockets. The end result is the same – burning bridges that you will no doubt have to cross again. We all have been guilty, eating “crow” that tastes bad no matter how you make excuses to season it. It is still the same, no matter how it is served. I’ve had my share. I am still learning to press through the hard places. It’s difficult. I have to admit that I am incapable of doing it on my own. I’m sure God must roll his eyes at me frequently. It’s okay if you laugh at that statement. He knows me better than anyone, including myself. I am so thankful that I don’t have to defend myself to Him, or prove to Him who I am. He knows me. He knows my heart. Yes, I have to do a lot of repenting at times. I have to learn to be “still”- I am still learning to let Him steady my heart. Let Him do the work. I have a habit of saying under my breath… God you see. God you know. You defend me when I am incapable of defending myself. I can depend on family and friends to rally around me, but there comes those times that they are not physically or emotionally available. It is during these times that I have to silence the clowns in my circus (my inner thoughts) and let him take over. Why am I surprised when He comes to my rescue? I have no clue. I just know that he continues to do so, and I continue to be amazed how masterfully he accomplishes it every time. Help me Lord, my unbelief. You hold me in the palm of Your hand. When you are pressing through the hard places, remember He is there….encouraging you to press on.. push through…until you can feel the warmth He has waiting on you. Rest in Him, your perfect defender. Thank you, Lord… for allowing me to feel your warmth….during some really cold places.